Sally Ride, the first American woman astronaut in space, died earlier this week at age 61. Dr. Ride answered a NASA newspaper ad for astronauts in 1978 when she was finishing her Ph.D. in Physics at Stanford University, and flew on the space shuttle Challenger in 1983 and 1984. An excellent scientist and engineer, Dr. Ride also demonstrated outstanding leadership. In 1986, President Reagan appointed Ride to the panel investigating the explosion of the Challenger in January of that year, which killed everyone on board. Dr. Ride became known as a panelist who asked tough questions, and helped unearth testimony demonstrating that NASA had been warned about the possible failure of the O-rings on the shuttle’s rocket boosters in cold weather. Political pressure had been brought to bear and the launch went forward on January 28 despite the cold weather. Roger Boisjoly, an engineer who had warned his managers and NASA, had been shunned by colleagues for speaking out. Dr. Ride, despite her reputation for reticence, publicly hugged him after his testimony before the panel, and was the only member of the panel to show support for him. Dr. Ride subsequently served on the panel investigating the crash of the Columbia shuttle in 2003, the only panelist on both investigations. She stated that part of the problem at NASA was that “people had forgotten some of the lessons learned from the Challenger accident.” Dr. Ride understood the importance of inclusive leadership, of decision-making that draws on the wisdom and expertise of all. By disregarding the warnings of engineers, NASA had walked into catastrophe. In 1987, Ride created NASA’s Office of Exploration for long-range planning and led a team which wrote a widely-acclaimed report, “Leadership and America’s Future in Space.” Again, Ride took bold stands and demonstrated her integrity and vision in leadership. After retiring from NASA in 1987, Dr. Ride, instead of resting on her laurels, devoted her energy to inspiring young people, especially girls, to follow their dreams in math, science, and engineering. As a Science Fellow at Stanford and then as a Professor of Physics at the University of California at San Diego, she used her platform to teach middle school students about science. Co-authoring six books on science for children, Ride also overcame her adversity to publicity to appear on “Sesame Street,” to sponsor science fairs, and to train teachers. Dr. Ride became a leading role model and educator for girls, their teachers, and their parents. In 2009, US News & World Report named Dr. Ride one of America’s Best Leaders. 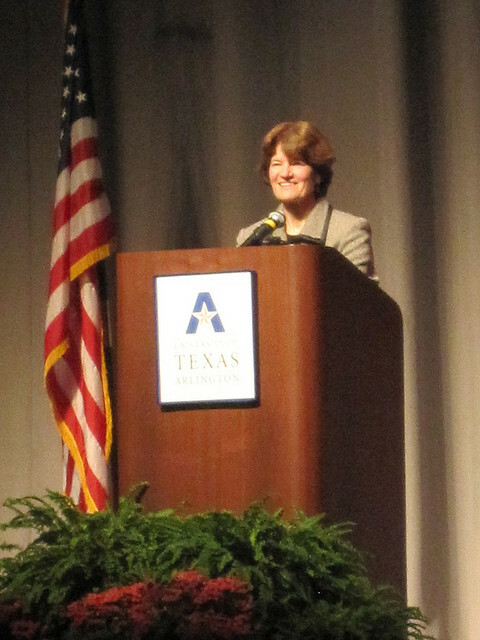 Sally Ride, scientist extraordinaire, also demonstrated to the world what excellence in leadership looks like. With her integrity and vision, she called NASA to account and stirred it to a larger vision, blazed a trail for women in science, and inspired countless young people. May we learn lessons in leadership from her fine example.